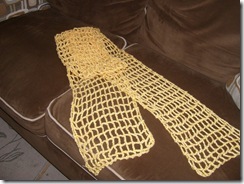 Looking for a light weight spring season type scarf to crochet, I came across pattern for open weave mesh scarf. 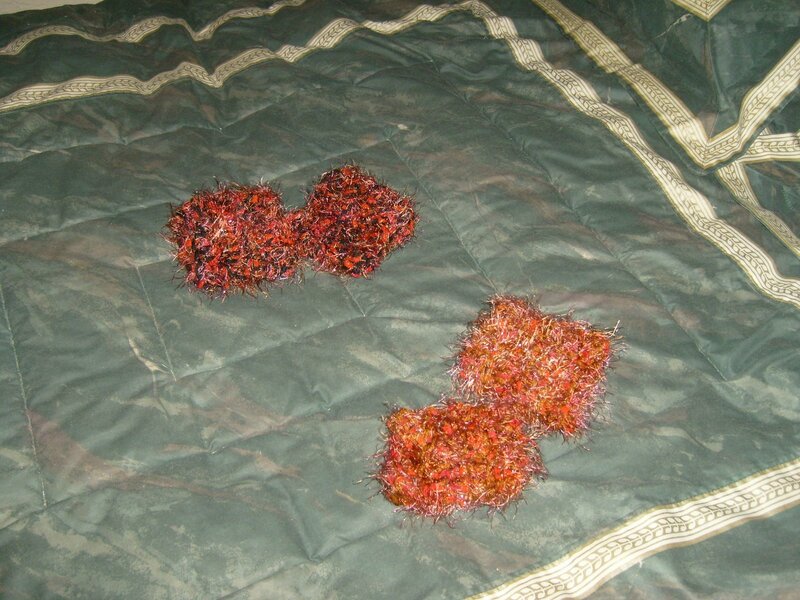 First I tried the pattern on some ribbon yarn my mother had brought for me, but I would have needed about two more balls to get the scarf to a long enough length. The ribbon yarn made up into a neck scarf and that may work well too. 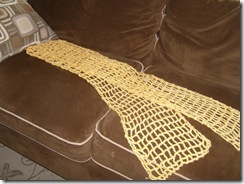 I had some lemon colored light weight acrylic yarn that I used and it gave me the longer length scarf I wanted. 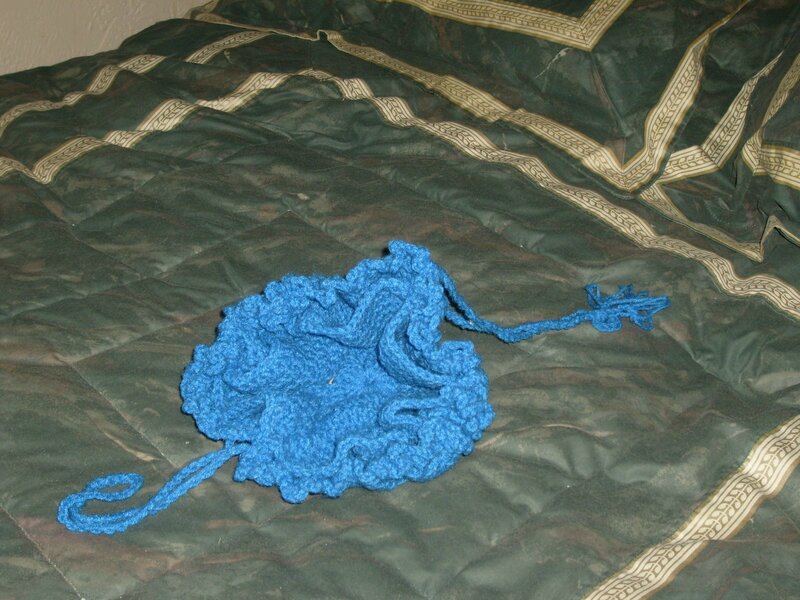 It does crochet up quickly. I’d like to make a few more of these mesh scarves, which I did as gifts for my two teen granddaughters – fashionable enough, right? 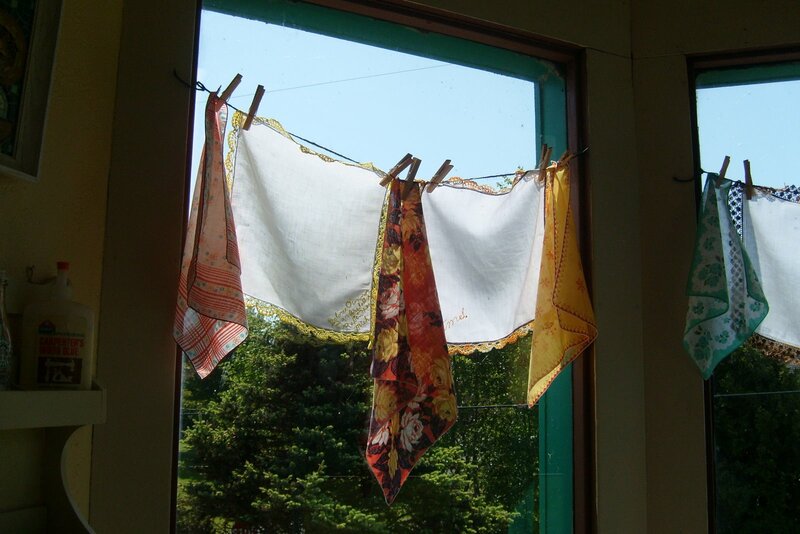 Craft Project; Handkerchiefs – my latest fun thing to do..
No, I don’t have those lovely Vintage type handkerchiefs, and am at the mercy of finding them at thrift stores, collectibles and such like. So I went and found some because I found a few fun ideas for how to use and wanted to give some of the projects a try. 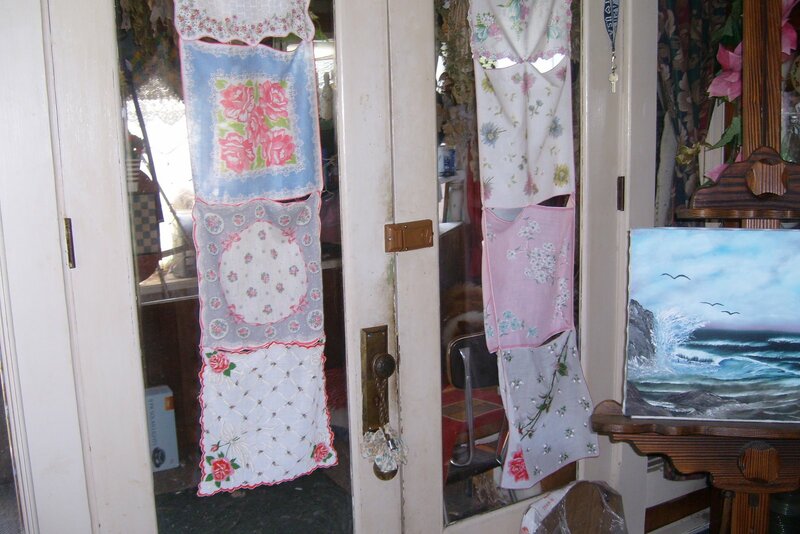 In my painting/sewing room, the upstairs cupola, I used the handkerchiefs to create a window treatment. 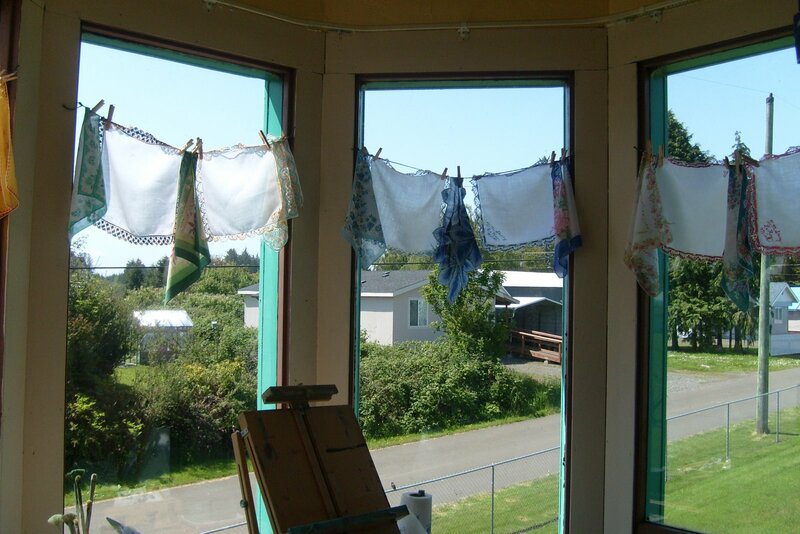 The view outside to peek views I have from the cuploa of Willapa Bay will inspire the paintings, while the breeze will softly blow the handkerchiefs, creating a lazy, billowy effect. The back door, which leads out to a not so nice mud room, is an old fashioned French Door set up, that leaves a few things to be desired. For Summer look, I want to add handkerchief curtains. Can seam sew the handkerchiefs together, or hand sew the corners together, adding columns and rows of handkerchiefs. Can pin them together, ie safety pins. 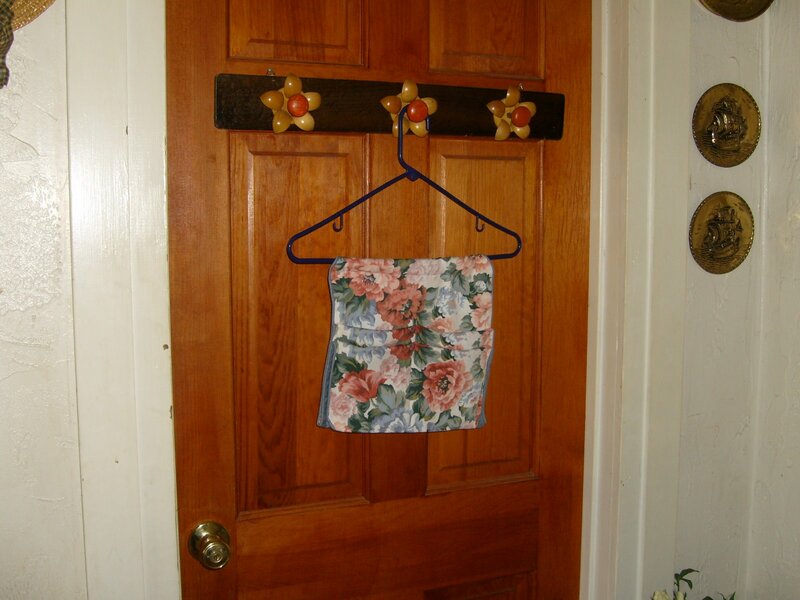 Can add lengths of string and clip on with cafe curtain clips, clothespins. Lots of different approaches. Right now I’m hand sewing the corners together and have one column on each window. 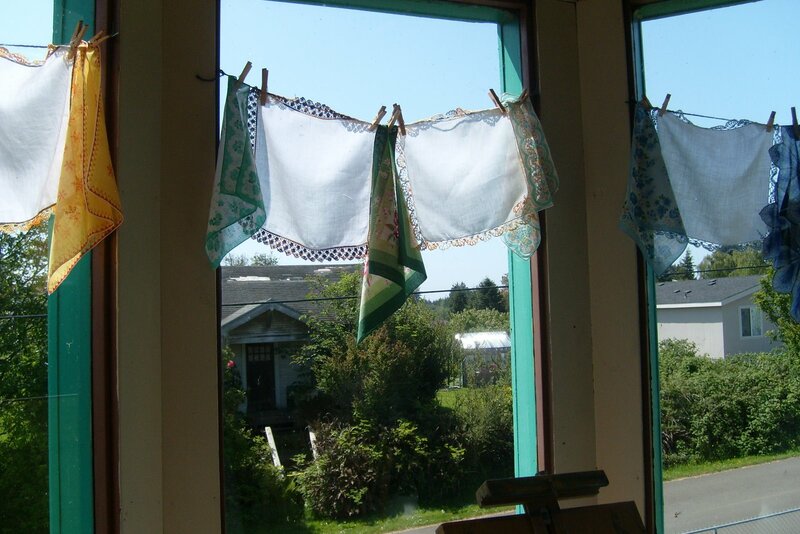 Will add additional columns to fill the window spaces, depending on how many handkerchiefs I have available to use. 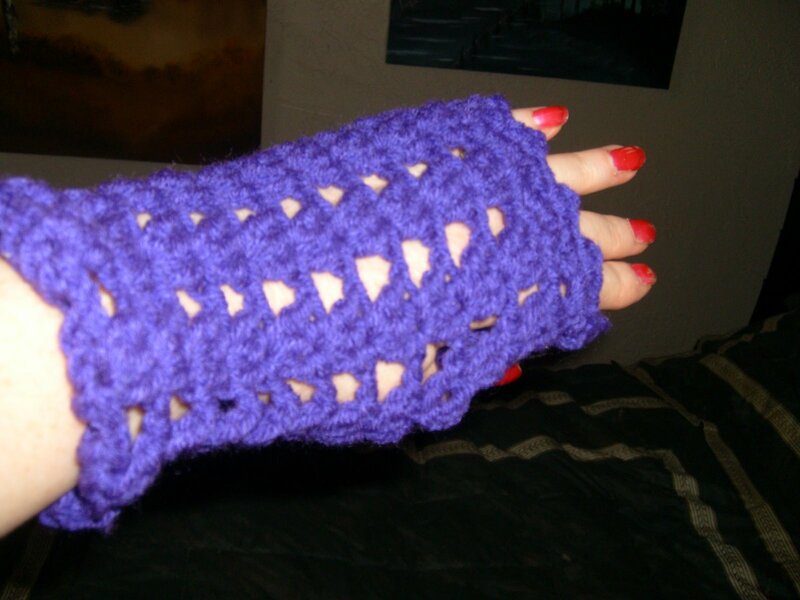 I crocheted 2 pairs of wrist cuffs (above) using fun fur yarn for my two teenage granddaughters. Got the packages out in the mail to my older daughter and her family. Pictures of the tote/purse I made for her; again using placemats and napkins for the interior pockets. I adapted the many patterns I found on blogs, to make some simple channel pockets for the interior of the purse. 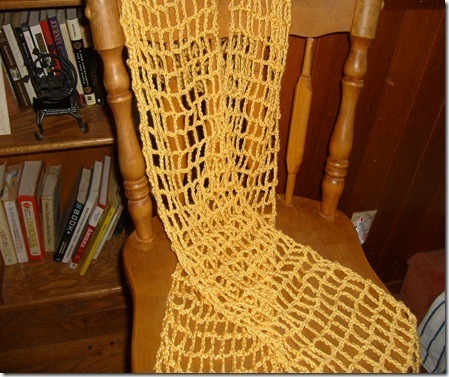 Last year I bumped into a crochet blog by a Guy! 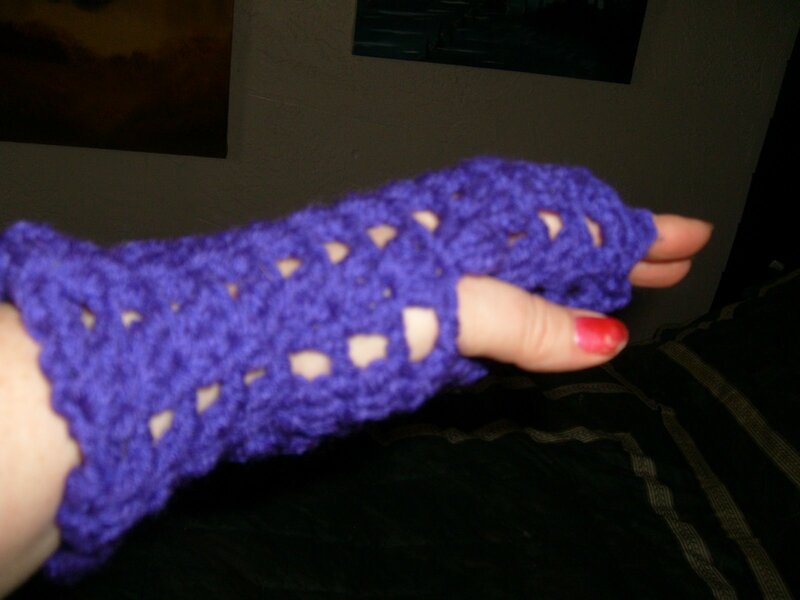 Yep, and he calls himself ‘The Crochet Dude’. 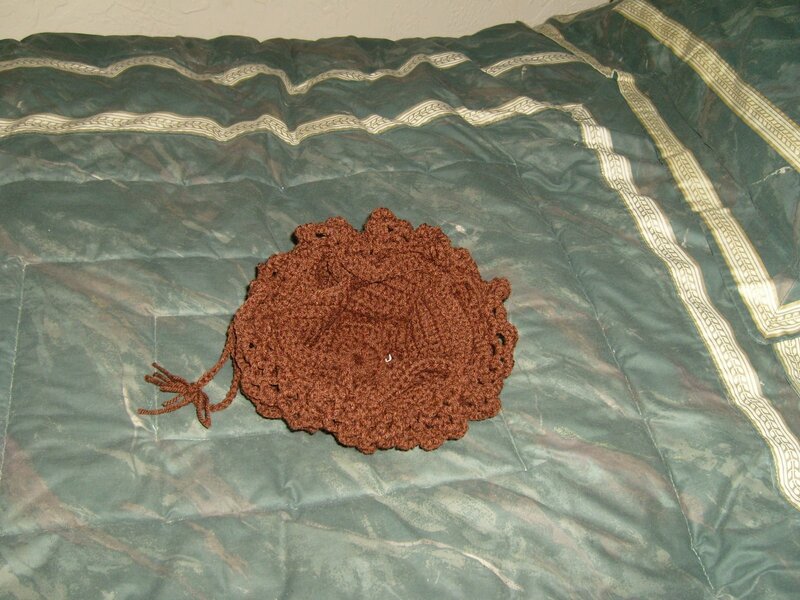 His crocheted creations were different and fresh. I was quite taken with them, and the idea of a guy who not only could crochet but come up with his own creations was enchanting! 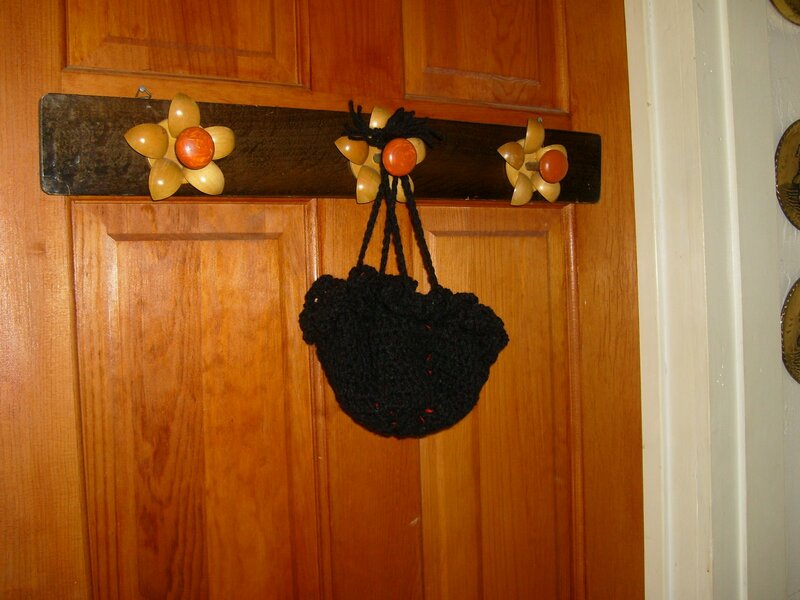 He had a few free patterns, and I was happy to try his pattern for ‘Travel Jewelry Purse‘. I liked it so well, that I made several and gave them as belated Christmas gifts. I may have taken a couple of photos and posted, but I gave away more of the cute little purses than I had taken photos of as a record. So I made some more and this time took photos. As for ‘The Crochet Dude’ — well he was snapped up by the industry pretty quickly – I mean what’s not to like about his creations and work! 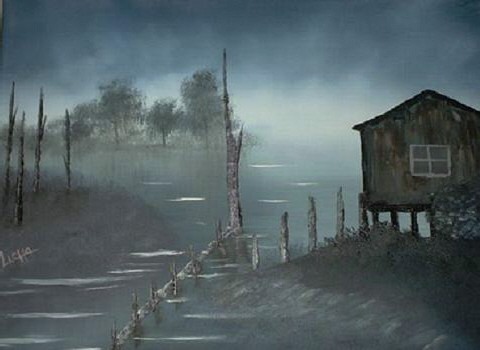 Now he appears on radio and television shows, has shares in books, and has left his humble beginnings on blogspot. But he didn’t kill the blog, just moved on to other things, and here is the link to some of his free patterns that got me going on making these adorable little travel jewelry bags. They are entirely useable for other things besides just jewelry. I like to tuck one in my purse to hold some of my cosmetics. 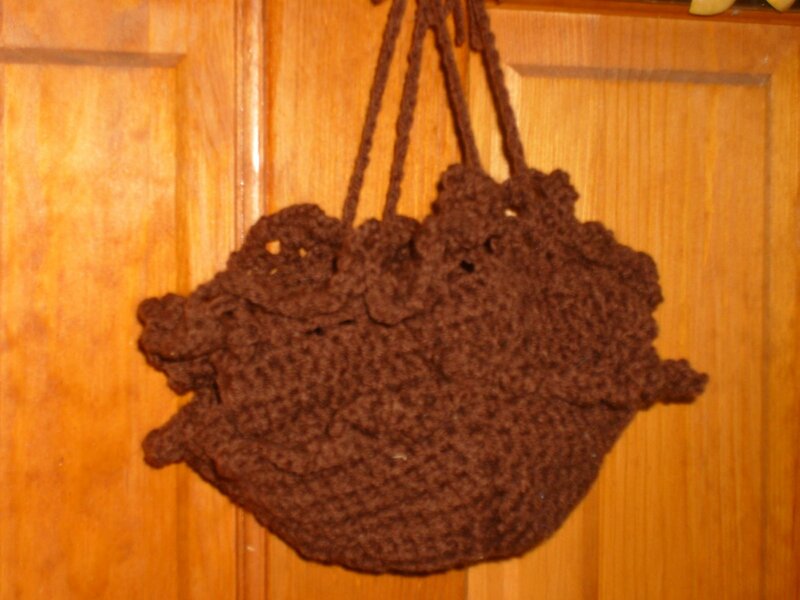 Love the finished purse with it’s ruffled top. 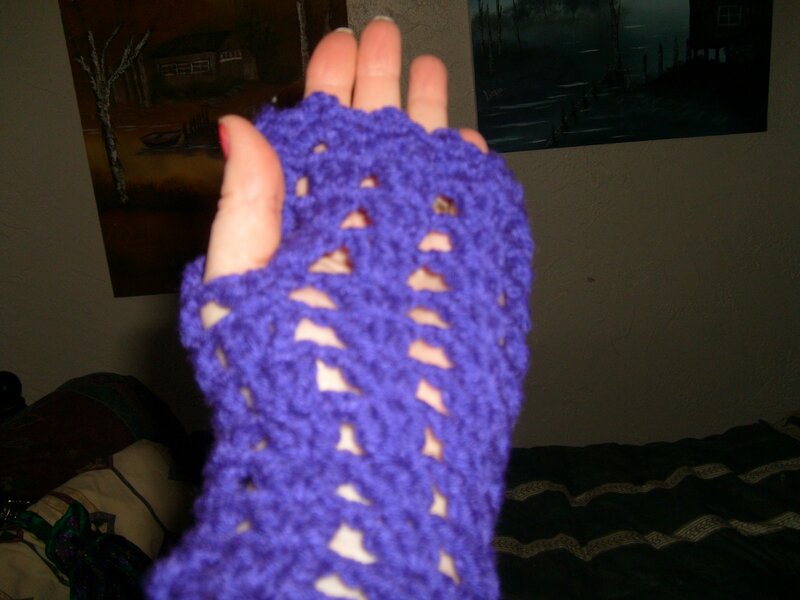 I played around with making several layers of ruffles because I so liked the look of the first one I finished. 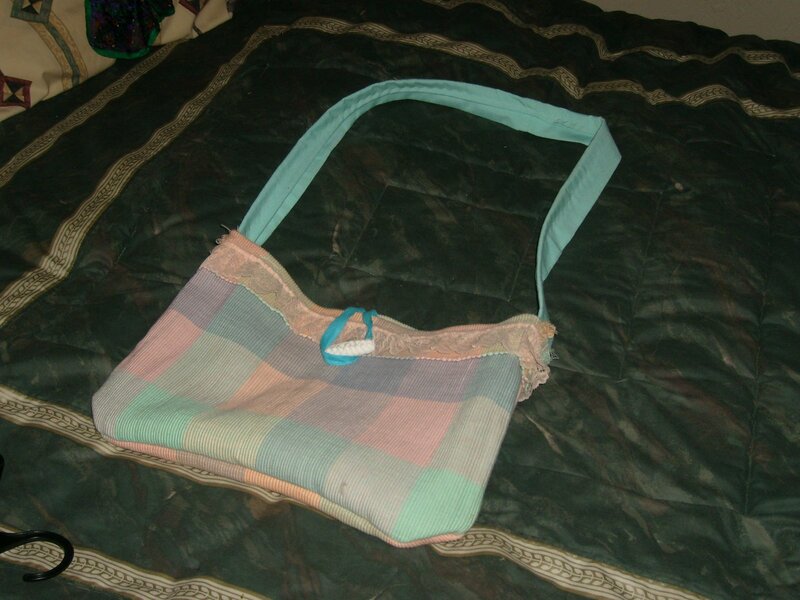 And for a dual-colored purse, it was fun to put colors together and see the results. 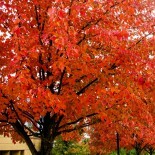 This is one of several I worked up using different color for outside and inside. Above is the black outside of the purse closed up. 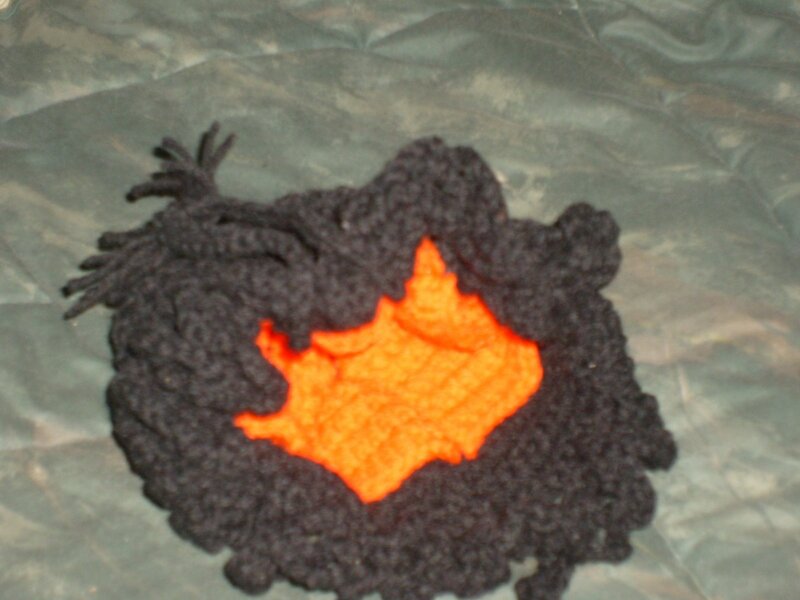 Below is the purse opened to reveal a contrasting color of orange inside pockets. Then I wanted more pockets, so I adapted the pattern to make an outside ring of pockets, along with the inside ring of pockets. 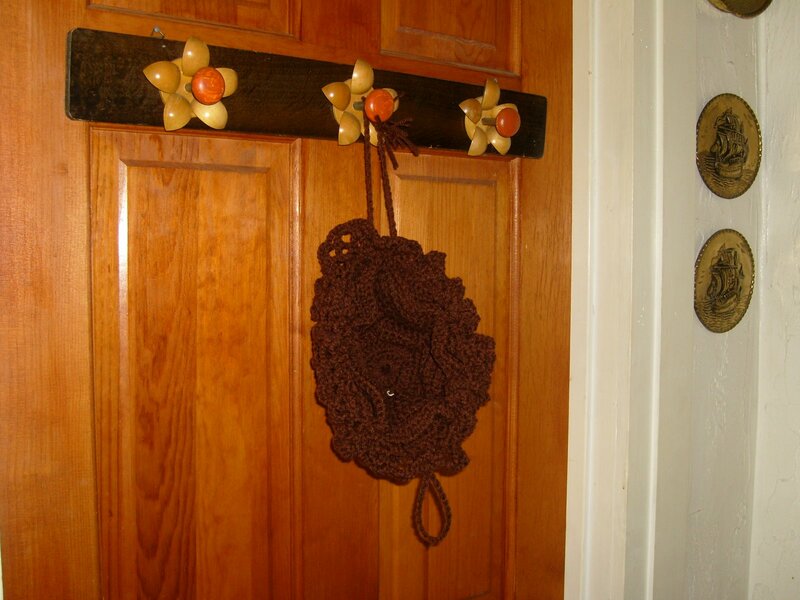 note: So hey, thanks Crochet Dude – he actually has a name = Drew Emborsky, aka, The Crochet Dude. He left a comment at my post about using his pattern to make travel jewelry purses. Thanks Drew! 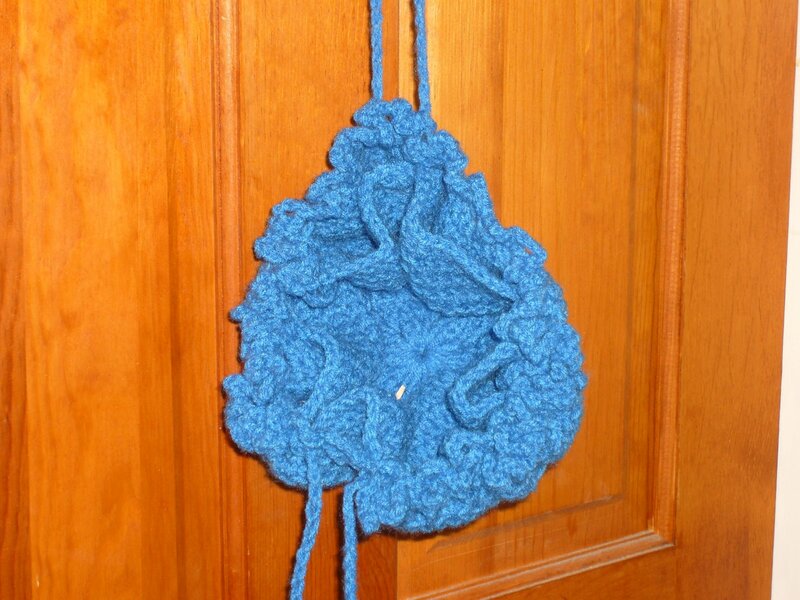 Odd coincidence or serendipity because I have a grandson (9 yrs old), nickname ‘Drew’ who plays basketball, x-box, football and is also fascinated with Grandma (me) teaching him to crochet. He is determined to learn and gives it a serious effort. I told him about how cool it is that The Crochet Dude has such fun patterns. The very next day we went to my granddaughter’s high school art show and sitting there crocheting some fantastic hats and scarves was —- wait for it — a guy. Now if that is reassuring and inspiring for my grandson to know guys out there DO crochet. It will spur him on in his own efforts to learn to crochet – not like Grandma, but like ‘the dudes’! Enjoying the crafty ideas I’ve seen in crafting blogs for using placemats – or better said – for upcyling placemats. 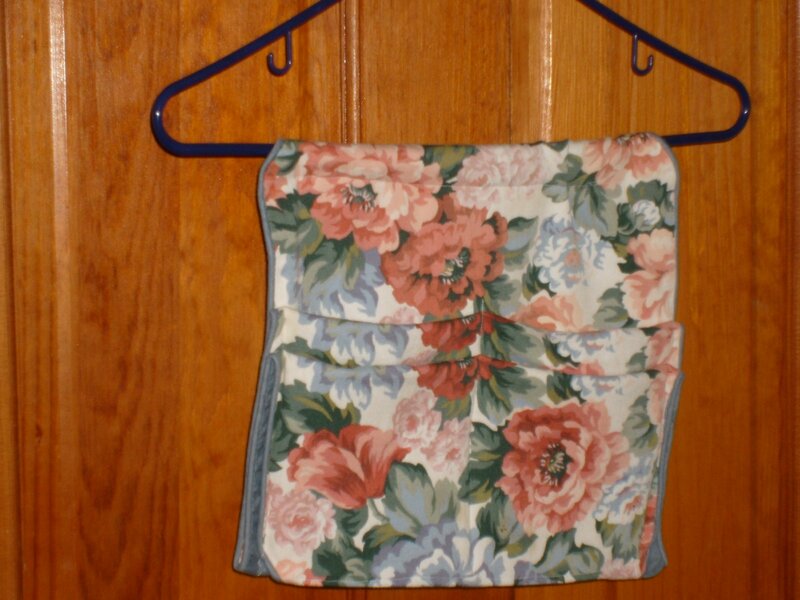 I finished up this one in a jiffy, an organizer, using two placemats, sewing up the channels and well, I sewed it directly onto a plastic hanger. Quick as that, I have a pretty little fabric bathroom organizer, or a cosmetic organizer or perhaps a child’s room organizer. I hope to make more of these. A variation I did make, again using placemat, was to fold it in half along the long side and sew up four channels, making a roll up organizer which I am using in my purse. Helpful hints from bloggers prompts me to try new ideas. 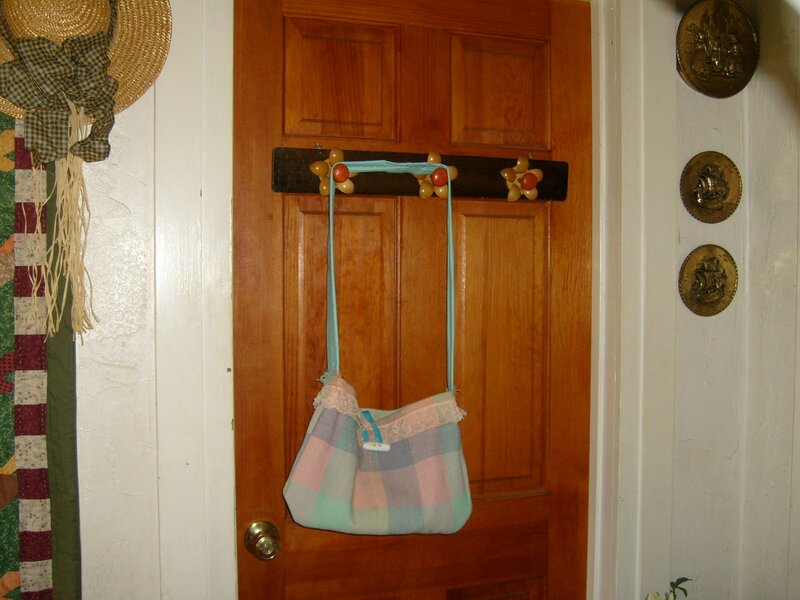 This is a recycle, refashion idea. 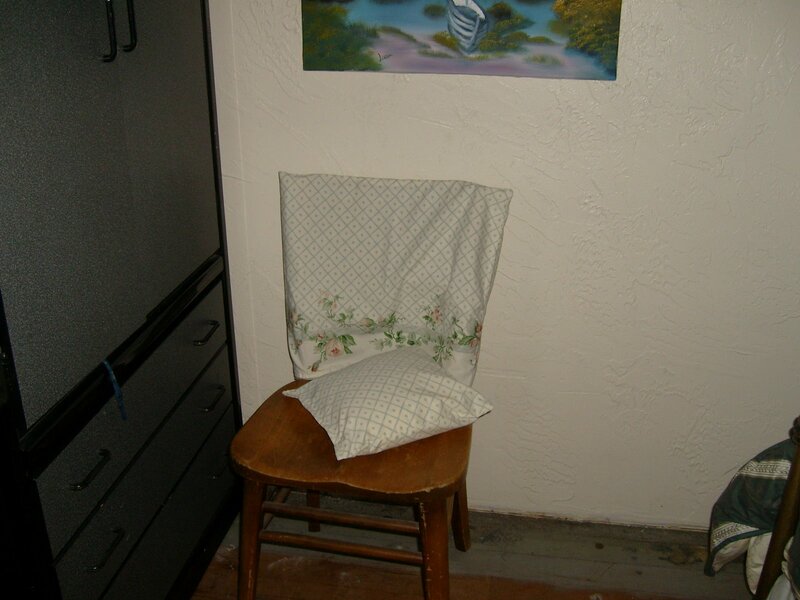 Using a pillow case that I picked up at thrift store, it becomes a chair cover with enough left over to cover a small pillow. Can School Heal Children in Pain? Life's too important to take it seriously.